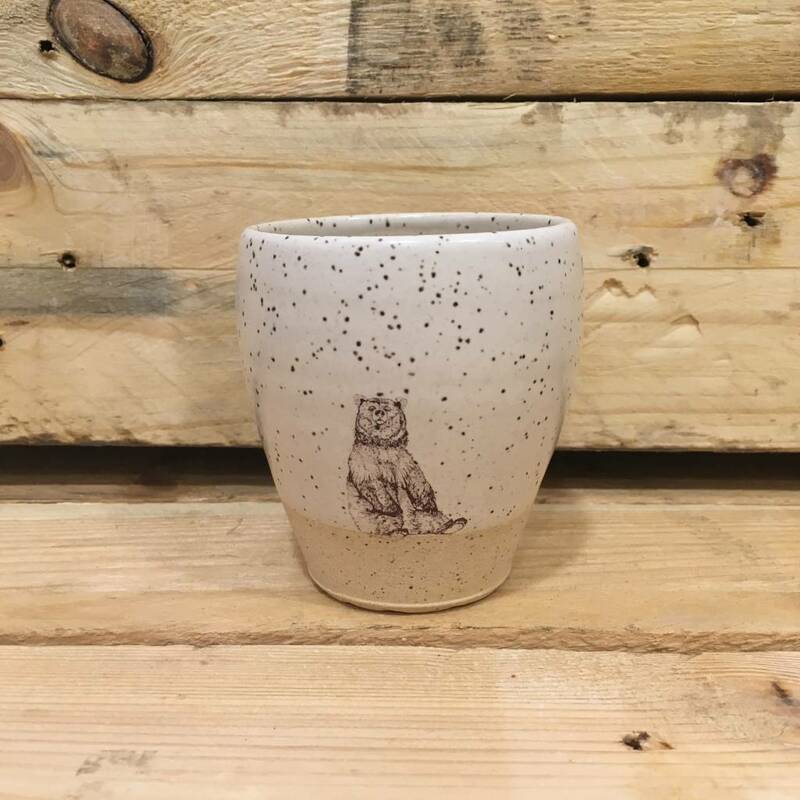 Sleepy bear short tumbler, glazed in satin white with a matte base. 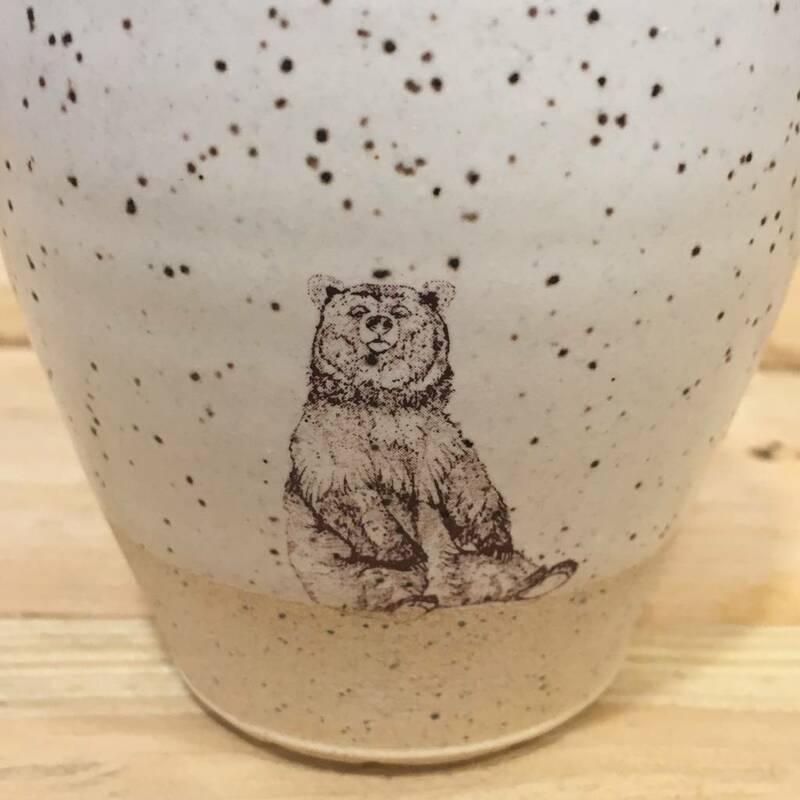 This sleepy bear short tumbler is glazed in satin white, with a matte base. Perfect for your morning coffee, afternoon tea or a glass of wine. Part of the Nova collection, these gorgeous tumblers are wheel thrown, hand painted and decaled by the wonderful Paige Coull, of Blackbird Studios, in her beautiful studio on Gabriola Island, BC. All of her pieces are microwave and dishwasher safe.